Date of publication: April 04 2014 . 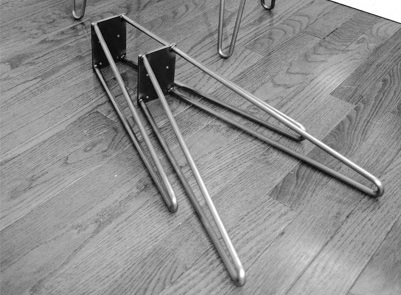 Hero remaking today - "extraterrestrial", made of LACK tables. Probably it is possible to consider this "hack" a tribute to the past, and may be nostalgia for him. Such alterations in Our categoryIn fact, is not as much. This is the version of the alterations that you can scrutinize that definitely impress all your friends who do not even have a slightly similar analogues. In alteration can participate three options TV Stand size 149 * 55 * 35 see a series of products LACK: white, black-brown color and color birch. Pedestal itself is made of chipboard and MDF and covered with a green acrylic paint Printed and embossed pattern. In the remake will be used nightstand LACK pleasant color "Birch", which will refresh the interior. "Façade" item with round holes can be made of particle board, carefully make a hole using the jigsaw. And you can apply to special workshops where you will be happy to help make sawing and all the necessary manipulations. Nominal size insert - 15 * 138 cm (be sure to make precise measurements under his cabinet!). Along the perimeter of the insert can be glued felt or refine it in another way. As a result, our facade turned nine holes, each about 7,5 see. Once the bulk of the tables will be ready, be sure to cover it furniture varnish. As you can see, alteration becomes a very interesting twist. In fact, there is a movement for decorating modern furnishings "mid-century", Which translated to English means" middle of the century. " Now we need to tie new legs the place of the old and admire the result. Hello! You get a smart TV Stand. Tell AMPs where you bought the metal legs under the cabinet? Irina, it is best to order these legs that you cooked them. In private ads, you can find a sensible welder in your city. Show him a picture and he would do.